On this tour, you will discover the world’s most elegant and precious « swamp » : le Marais. Follow your guide to discover private mansions, unique courtyard, historical Churches, the ancient Jewish neighborhood and secret places that only locals know about… He will give you the keys to understand one of the most favorite area for Parisians. Have fun ! This stroll opens the doors on an unsuspected historical and cultural heritage of one of the most seductive areas of central Paris. 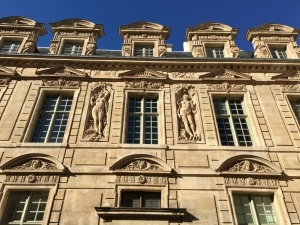 Largely untouched by Baron Haussmann and modern development, it preserves its enchanting narrow streets and magnificient Renaissance « hôtels particuliers » and that is why the Marais is simply Paris’ best neighborhood to wander around ! After meeting your guide near the metro St-Paul (line#1), you will be given a complete introduction of the historic area of the Marais. You will learn what to avoid and how to get around. The area was little more than a riverside swamp up until the 13th century, when the Knights Templar moved into its northern section and began to drain the land. Today, the Marais quarter occupies a triangle formed by the hôtel de Ville, the Place de la Bastille and the Place de la République. This is the historical heart of Paris. Following its rehabilitation, the Marais has become a fashionable district, home to many trendy restaurants, easy going cafés, fashion houses, and hip galleries with a multicultural and cosmopolitan vibe. After this complete introduction, your guide will take you through the oldest part of the Marais to discover the Jewish quarter, once the largest Jewish community in Europe but 75% of the population died tragically in concentration camps during WWII. You will pass through the Shoah Memorial and the Wall of the Righteous. Discover life in this historic area and stroll along beautiful streets packed with delis, bakeries, old hamams, and East European Jewish restaurants. You will be led through tiny side streets with enchanting houses, past tremendous shops and lovely churches. Along the way, there are plenty of chances to snap some photos of this beautiful part of Paris. 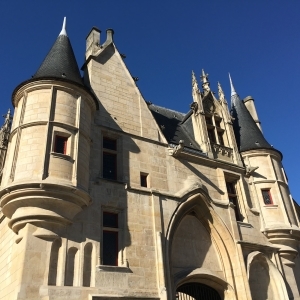 Follow your guide through the narrow winding streets of the Marais and discover magnificent buildings like the Hôtel de Sens, the Hôtel de Beauvais and the Hôtel de Sully. 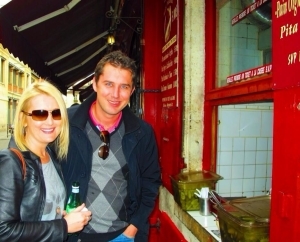 Your guide will show you where to look to discover curiosities and small details that others miss. You will see some of the last examples of half-timbered houses in Paris, a remaining piece of Philippe-Auguste‘s wall dating back from 1200, shrapnels from WWI and so much more … Explore the village St-Paul and its network of cobbled courtyards and streets housing around a hundred antique, interior-design and art shops. You will love entering to some of the most beautiful Churches of the capital (St-Gervais-St-Protais church, St-Paul-St-Louis Church) with the appropriate explanations. Finally, you will follow your guide inside the inner courtyard of the Hôtel de Sully where you will be amazed by the fine classical architecture. You will learn about the history of its famous building before reaching the elegant place des Vosges situated just behind. 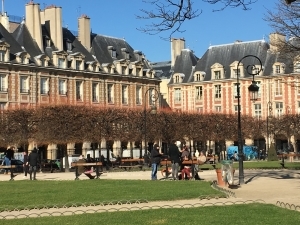 The place des Vosges is considered by many to be the most beautifully built square in Paris. It was built by Henry IV in 1605 and soon became one of the most exclusive areas to live. Napoleon himself considered it « the jewel of Paris« . If you have an interest in art, you’ll enjoy spend some time there !!! The square is now one of Paris’ main localities for art galleries. Then, you will stroll through the peaceful gardens of the place des Vosges and you will admire its breathtaking architecture. Among the many celebrities who made their homes in the place des Vosges was Victor Hugo where he lived from 1832 to 1848 and wrote much of Les Misérables. Tour ends at the square.